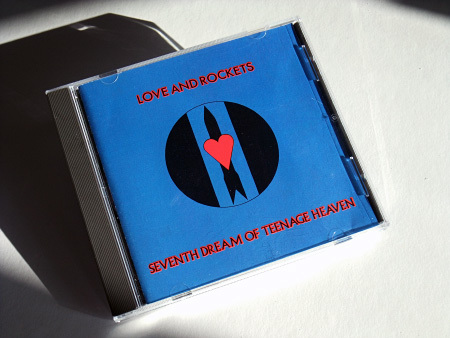 With this post I’m going to look at the various releases on CD of ‘Seventh Dream Of Teenage Heaven’, the debut album by Love and Rockets, released in Late 1985 and a particular favourite of mine through the years – and specifically digging about at the various different mixes of some of its tracks and bonus tracks which were added to the numerous CD issues. This updated post adds a few additional points that have become known since the original post, mostly thanks to the wonderful comments left by well-informed readers of this blog – thank you! 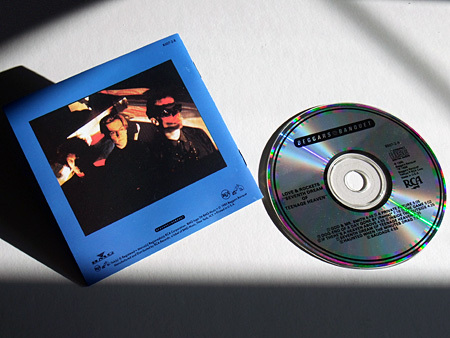 In short, these are a slight edit to ‘The Game’ on the US version of the album and the US 12″ promo version of ‘Dog End of a Day Gone By’ being a unique mix that is not simply an edit of the US album remix. 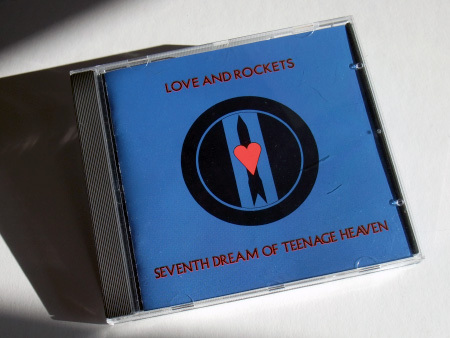 Winding back to 1985, the album was preceded by two related releases ahead of its won release: firstly, the fabulous (IMHO) single, ‘If There’s A Heaven Above’, which in the UK came in 7″ and 12″ versions, the 12″ including an extended version of the A side, which remains one of my all time favourite songs and, in particular, 12″ mixes – at least, the actual mix that was on the original UK 12″, because the version labelled as such on the 1999 UK CD re-issue is not the same. 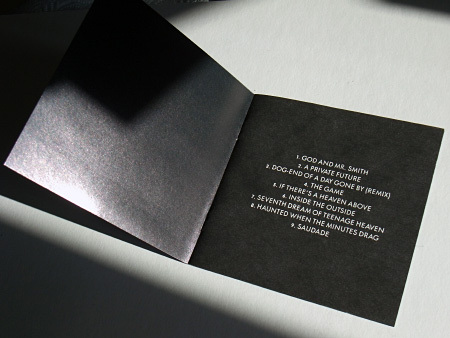 The B side on both 7″ and 12″ was ‘God and Mr Smith’ (4 mins 47 secs), a rearrangement of the A side stripping out the main vocals and including copious samples, largely of an eastern bent. 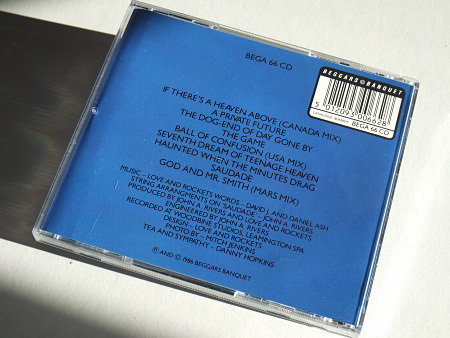 The UK CD version (Beggars Banquet, BEGA66CD) came later however – in 1986 – and had changes in the shape of a different mix of ‘If There’s A Heaven Above’ (Canada Mix) and a few extra tracks from the earlier singles added – ‘Ball Of Confusion’ (USA Mix), ‘God And Mr Smith’ (Mars Mix) – note, despite being labelled the Mars Mix, this version of ‘God and Mr Smith’ is the same as the 7″ and 12″ single releases. ** Note: This is the mix from the A side of the second UK 12″ release of the ‘Ball Of Confusion’ single. 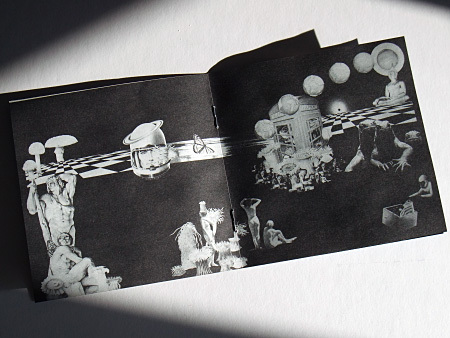 The UK album (vinyl/cassette/CD) was re-released at a later date as part of Beggars Banquet budget-price ‘Lowdown’ series – no major changes, but altered catalogue numbers and a ‘Lowdown’ logo added to the front covers. 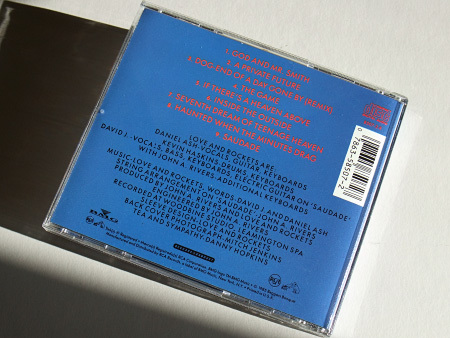 The American release of the album had a different tracklisting on both vinyl and CD in comparison to the UK releases from day one, with an altered running order featuring two of the earlier single B sides added (‘God and Mr Smith’, ‘Inside The Outside’) and notably a remixed version of ‘Dog End Of A Day Gone By’ included instead. The version of ‘If There’s A Heaven Above’ was the same as the UK album mix though. 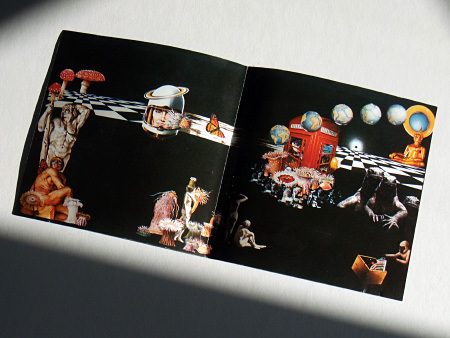 Inexplicably, there is also a slight difference with ‘The Game’ – the intro on the US version edits out one repeat of the opening guitar refrain (which repeats only three times as opposed to the four times on the original UK issue.) This American version also appeared on CD (Beggars Banquet/RCA, 8507-2-R). ** Note: This version is the same as on the original album, i.e. the 4 mins 55 secs version. 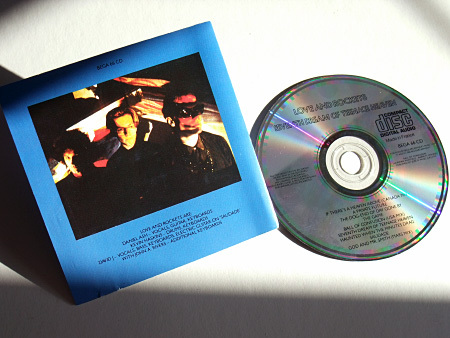 * This is the mix from the A side of the first UK 12″ release of the ‘Ball Of Confusion’ single. 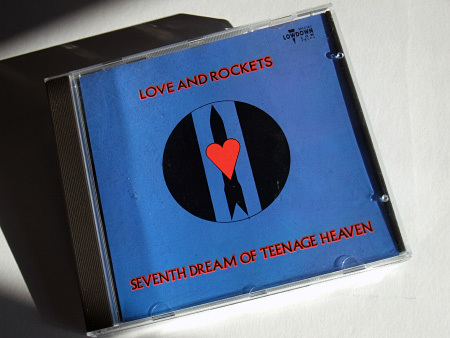 ** Although it is labelled as the UK12″ mix, it is not in fact the same – it is yet another mix of this song! It certainly is very similar, but a couple of easy to spot key differences are that a) it doesn’t fade out and b) there is no reverb on the guitar at the start of the song. There are other differences too in the mix, this is definitely not the original UK 12″ mix as it appeared on vinyl. This entry was posted on Friday, November 30th, 2018 at 1:33 pm	and is filed under Region crazy, Versions, versions. You can follow any responses to this entry through the RSS 2.0 feed. You can skip to the end and leave a response. Pinging is currently not allowed.